University of Wyoming Extension Entomologist and Associate Professor Alex Latchininsky and his team have received the International Integrated Pest Management (IPM) Award for Excellence. Members of the team, including Assistant Extension Entomologist Scott Schell, also will receive certificates. The honor is for developing and delivering to stakeholders the Reduced Agent and Area Treatments (RAATs) grasshopper control strategy, which saves landowners money. RAATs is a method of IPM for rangeland grasshoppers in which the rate of insecticide is reduced from levels recommended by the label and untreated swaths are alternated with treated swaths. In addition to many entomology and IPM organizations, Latchininsky has served as an international consultant for the United Nations Food and Agriculture Organization. 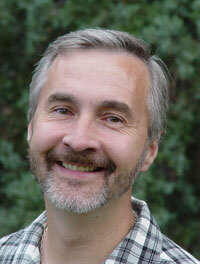 Latchininsky will be recognized during the International IPM Symposium awards luncheon March 27, in Memphis, Tenn. Symposium sessions will address IPM across disciplines in the marketplace and agricultural, horticultural and natural environmental settings.